The La Quinta Inn Pensacola hotel provides an excellent choice for accommodations and great access to experience the sunny Florida panhandle. Visiting a college student at the University of West Florida? 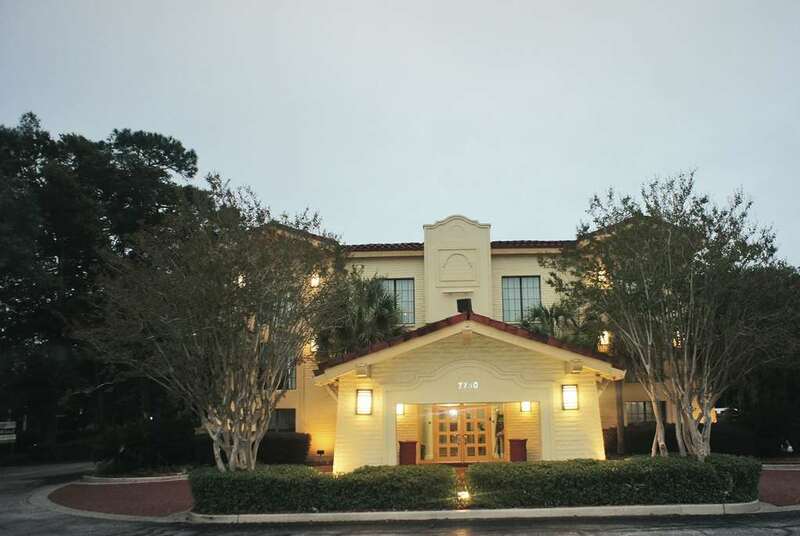 From the La Quinta Inn Pensacola hotel you are nearby the University of West Florida and nearby the International Airport. If you are visiting a cadet at the United States Naval Air Station, we are less than 30 minutes away. In just a few minutes' drive from your family vacation paradise, renowned white sandy beaches on the Gulf Coast of Mexico where sailing, fishing, scuba diving, and skydiving await. Discover an intriguing documentary in IMAX at the National Museum of Naval Aviation theater. Be sure to attend a concert or live performance at the Pensacola Bay Center! We are the host hotel for the Blue Angel Classic, a University of West Florida sponsor, and an affiliate of the Pensacola Sports Association. Our Pensacola hotel staff has been here for many years and we pride ourselves on great service. Our staff serve guests a Free Bright Side Breakfast every morning. There is a restaurant next door, and many franchise and local restaurants nearby. Shopping malls are close to the La Quinta Inn Pensacola hotel, as are major hospitals. If you are here to soak up the sun or unwind, our outdoor swimming pool is open year-round. Our hotel offers free high-speed Internet access in all rooms. Easy access to Interstate 10 (exit 13), next to Denny's. The La Quinta Inn Pensacola hotel is less than 15 miles from the Alabama state line. Unwind with your favorite movie or TV show on our flat-panel TVs with 30 channels of HD programming. Easy-access Plug-and-Play feature makes it simple to connect electronics. Contact us to book your La Quinta Inn Pensacola hotel room today!